Whatsapp rumored Central testing three new features that is estimated to be accessed by users in the near future. The third reportedly will transform the user experience significantly WhatsApp. 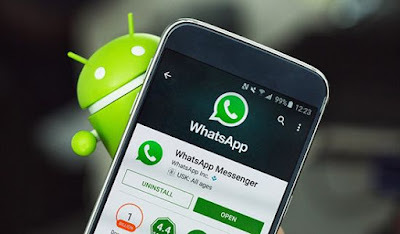 The first feature ' visibility ' media that previously had existed in the application of WhatsApp, although then disappear without reason is obvious. This feature will help users save the automatic media received from others. Later this feature allows users to select specific contacts to help save automatically WhatsApp photos, videos, or other content submitted. The second feature i.e. ' group call ' video. Like other group video calls, this feature also helps users WhatsApp to do a video with two people at once. When making a video call, the screen will be automatically divided into three. Video of two people will appear side by side at the top of the screen, while the video of one other person residing at the bottom of the screen. The third feature i.e. payment ' WhatsApp Payments '. Users can send and receive money through Facebook's proprietary instant messaging application. Last month, WhatsApp is known to begin testing this new feature to the nearly one million users in India. "Responsnya positive, people love the comfort in sending the money the process as easy and as safe as sending a message, " said a spokesman for WhatsApp as reported by the Express. 0 Response to "Whatsapp Is Rumored To Release Three New Features"